Oak Park (MI) Oak Park offensive tackle Ja’Raymond Hall committed to Michigan on Saturday. 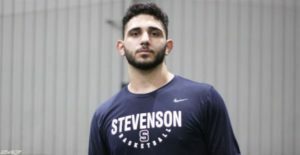 He chose the Wolverines over offers from Ole Miss, Penn State, Tennessee, and some MAC programs. Hall is a 6’5″, 270 lb. prospect. He ran the 40 in 5.82 seconds. 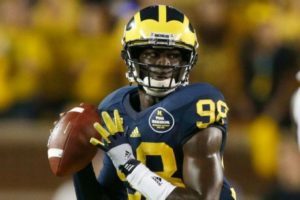 I realize it’s very early for a 2016 depth chart, because Michigan hasn’t even played its bowl game yet. But it’s impossible not to look toward the future, and why not now, during the lull before the bowl? Here’s a look at how the roster might shake out for next year. I decided not to go more than three-deep, because once you get past third string, nothing really matters anymore. If things get that bad, people start changing positions (see: Strobel, Tom) or get their redshirts burned. Also, I did not go three-deep at kicker and punter, because nobody has any clue how those positions will shake out past the top guy or two. Everyone currently on the roster is presumed to come back except a) seniors who have exhausted their eligibility and b) redshirt junior walk-ons, who usually go ahead and graduate unless a great deal of playing time is imminent. Clearly, not all roster players will return, including several you see on this chart. But such is life. 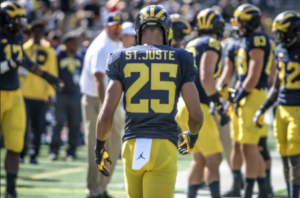 Also, I included players who are currently committed to Michigan in the 2016 class, even though some will decommit and some potential contributors have yet to commit. Hit the jump for the depth chart. Michigan defensive coordinator D.J. Durkin is reportedly heading to Maryland to be their new head coach, where he will replace interim coach Mike Locksley, who replaced Randy Edsall. Pros: Worked with Jim Harbaugh as Harbaugh’s defensive coordinator at Stanford in 2007. 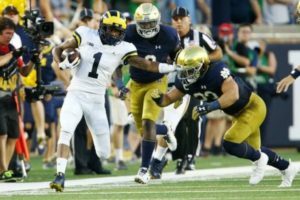 Familiar with the tradition and atmosphere at Michigan after working under Rich Rodriguez at Michigan in 2008; also spent two years as Western Michigan defensive coordinator. Twelve years of experience as a defensive coordinator. Head coach experience. Consistently had solid defenses as defensive coordinator for struggling Syracuse program. Available immediately. Cons: Had bad experience at Michigan when forced to run Rich Rodriguez’s 3-3-5 defense in 2008. If things go poorly early, fans will not forget 2008. Has never fielded elite defenses. No experience coaching linebackers or defensive line, which would be the potential openings. 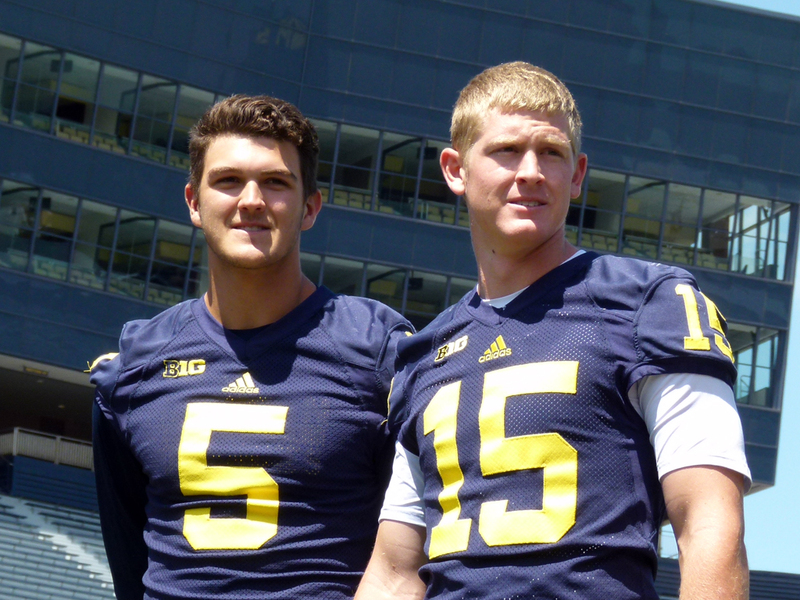 Mostly a 4-3 guy, a departure from Michigan’s current unit. Hit the jump for more potential defensive coordinators. Thanks to Daniel for the Paypal donation! Others may also contribute to the site by using Paypal (LINK) or by purchasing something through Amazon (LINK or use the banner on the right side of the page). Michigan defensive coordinator D.J. Durkin has been rumored as a potential head coach at Maryland. He interviewed for the job earlier this week. It seems clear that Maryland is not going to be able to lure a big-time coach with experience as a head man, because they are a lower-tier team in the Big Ten that has an uphill battle to become relevant. They need to get a young guy who’s trying to move up a rung. This would be a decent move for Durkin. Maryland is a stepping-stone job for a young coach or a fallback option for a decently established coach. If he goes to Maryland and makes them relevant (let’s say a couple 8-4 seasons), then he could parlay that into a bigger job. He’s unlikely to get a big-time job unless he a) has success at a smaller program as a head coach or b) coordinates top-tier defenses for a long time. He’s on his way to reaching the latter achievement, but he’s not there yet. 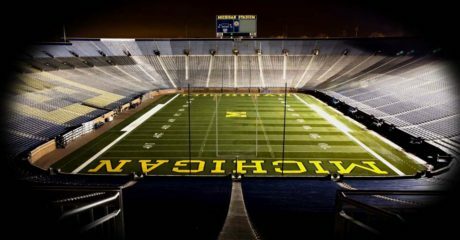 There have also been rumors that Durkin could take some of Michigan’s assistants with him, such as Jedd Fisch to be his offensive coordinator. These are minor concerns to me. 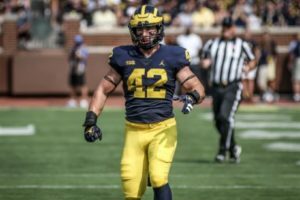 Fisch might be out after the season, anyway, because he was on a one-year contract at Michigan; the Jacksonville Jaguars were paying a large part of his salary after they fired him last year. 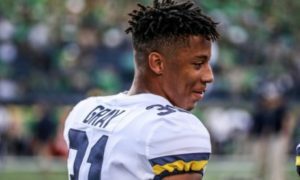 The Wolverines also have a capable replacement in-house with Erik Campbell, who was brought in last off-season as part of the support staff, but has a long history of wide receiver coaching success with Michigan and Iowa. Add in Jim Harbaugh’s extensive NFL and college experience, and he can probably pull in a good defensive coordinator from several places. The most immediate concern is in the area of recruiting. 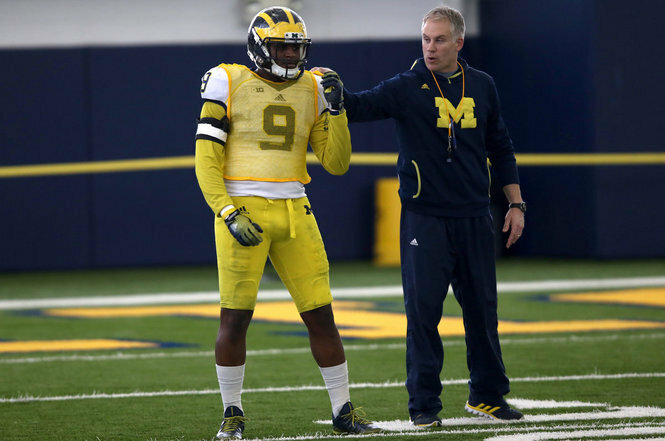 Durkin is the linebackers coach and defensive coordinator, and Michigan needs multiple linebackers in this class. It is a thin position group on the field with few established contributors. 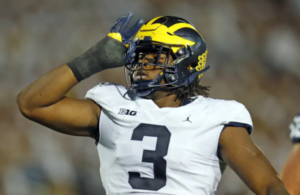 Michigan has several 2016 linebackers who are high on the Wolverines, but those relationships could be damaged if Durkin goes elsewhere. 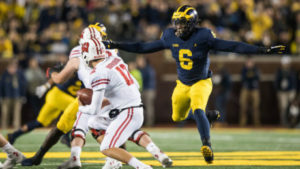 However, if Michigan brings in a solid defensive coordinator to replace Durkin, the trump card for the Wolverines should be Jim Harbaugh, not whoever’s coaching the linebackers. 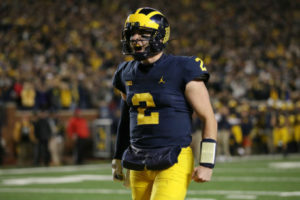 If Durkin does indeed leave Michigan, then I do not expect it to hurt Michigan much down the road. 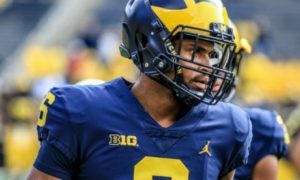 Elite programs suffer attrition from the coaching staff, and when someone like Harbaugh puts together an all-star staff, he realizes that those guys will be highly sought after. 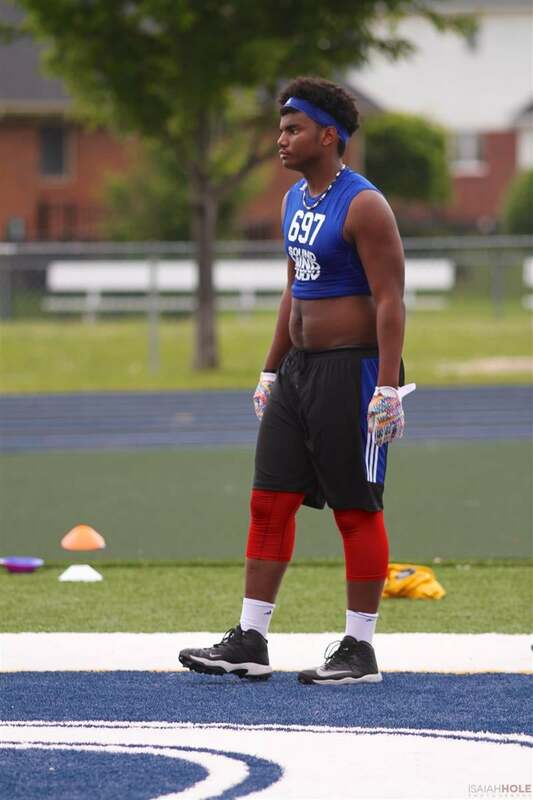 Houston (TX) Westside defensive tackle Jordan Elliott committed to Michigan (LINK). Detroit (MI) King cornerback Lavert Hill decommitted from Penn State. Hill is a 5’11”, 175 lb. 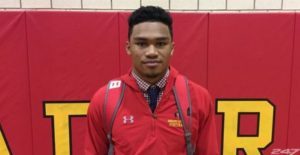 prospect with offers from Clemson, Georgia, Ohio State, and UCLA, not to mention the in-state schools. 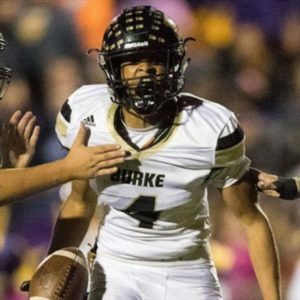 He’s a 247 Composite 4-star, the #11 cornerback, and #136 overall. 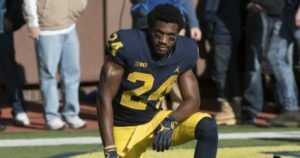 Hill’s older brother is Michigan safety Delano Hill, and sources have been saying for months that it would just be a matter of time before Lavert flipped to Michigan. 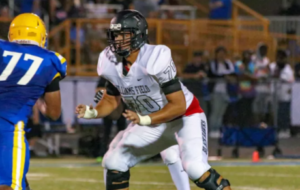 However, he is taking an official visit to Tennessee this coming weekend. 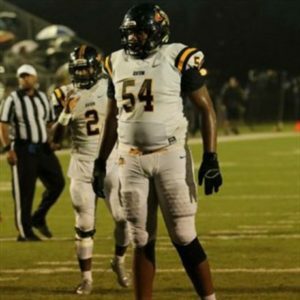 He has visited Michigan numerous times and says he will announce at the U.S. Army All-American Bowl. 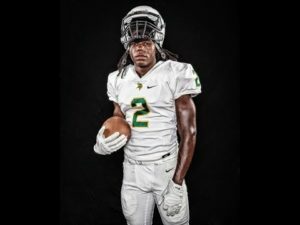 Dade City (FL) Pasco cornerack Jayvaughn Myers decommitted from Florida. Myers is a 6’1″, 185 lb. 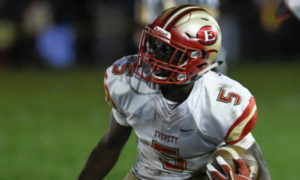 prospect with offers from Alabama, Auburn, Florida State, and Michigan, among others. He’s a 247 Composite 4-star, the #24 cornerback, and #258 overall. 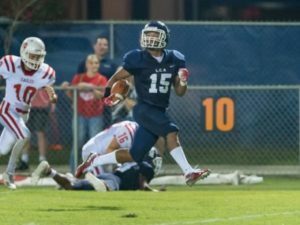 It’s unclear why Myers is decommitting from Florida with their defensive prowess, but he did recently pull in an offer from the Crimson Tide. Myers is the brother of 2016 prospect Nate Craig-Myers, the top wide receiver in the country. 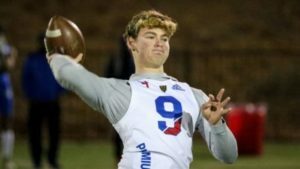 Hit the jump for a new 2018 offer, some guys who committed elsewhere, and some random tidbits.